Sports day has come and gone. I went into work on Saturday morning and stayed until 4pm. It was unusually good weather too, which was surprising. Usually at this time of year it is still hot and rain forest muggy this side of Japan. It did get hot and sunny in the afternoon, but it was mostly a dry heat and I was able to chill in the shade. Anyhow, before the whole thing started I ran into a couple of my former students. This is usually a little disconcerting for me because it’s nearly impossible to remember the few thousands of students when they are in their school uniforms. When I see a high school student who remembers me, they obviously no longer in their Junior high school uniform and so I usually draw a blank. This time was different though, I ran into a student whom I easily recognized and she nearly jumped out of her skin from giddiness. She then told me about how much she missed having class with me and it was her favorite class. Usually I would brush that off as just standard flattery, but I remember her and she was always all grins when I showed up. That kind of thing is really what any teacher lives for, regardless of subject or position… And that kind of compliment will keep the ego engines running for a long time… like a camel. Smiling, glowing students have always been my weakness which really wears me down fast in Elementary schools. The kids had a great time, and I was allowed to intermingle with them and had fun just hanging out with them. 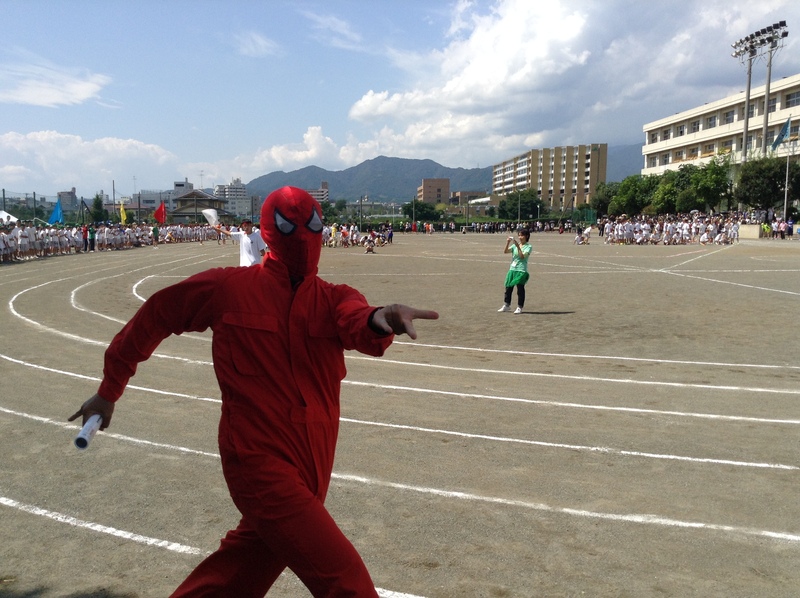 It was also cool seeing the teachers letting their hair down and just have fun… Sprinting while dressing like professional wrestlers and Spiderman. 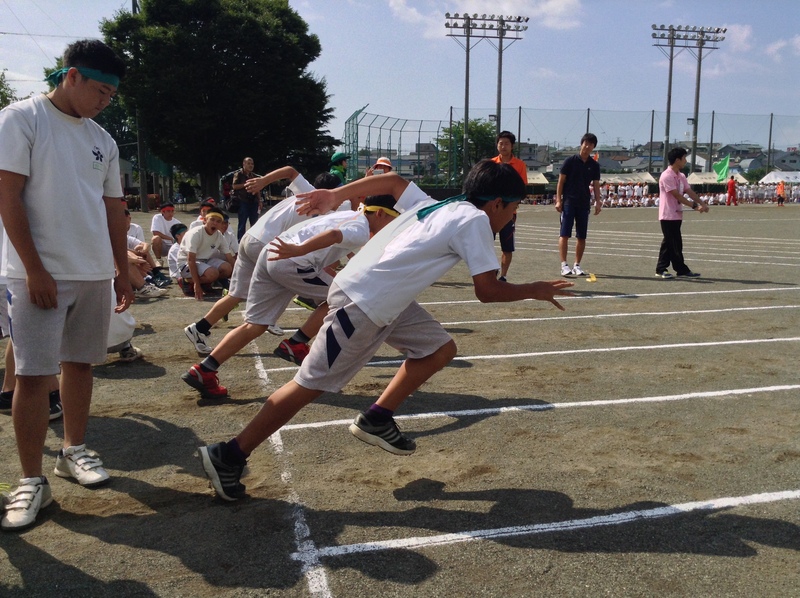 Posted in Teaching in JapanTagged AET, Alt, sports dayBookmark the permalink.